If you’re an event professional, you always want to ensure your events are the absolute best they can be. The Event Brainstormer, now available on Amazon, can help. 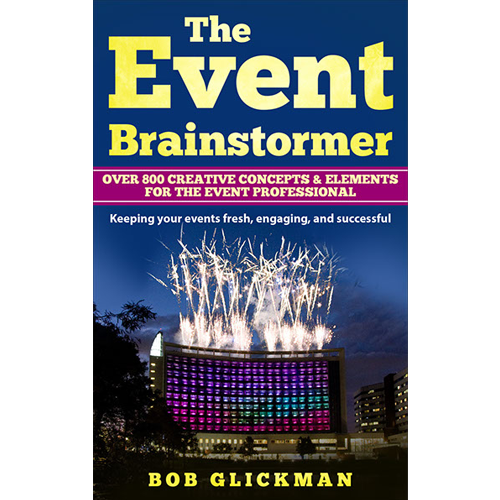 Written by Bob Glickman, founder of Glickman Productions, the book serves as your personal event brainstorming partner. It will help jump-start your mind via comprehensive lists including Creative Elements, Event Themes, and Technical Elements.